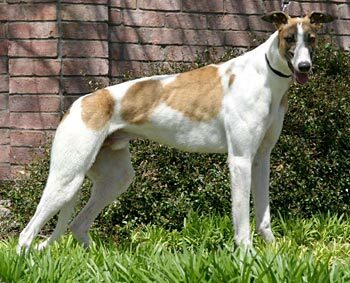 Jagger, formerly Buck, is a handsome, white and red, 6-year-old male born October 27, 2005. His sire is Setum Up Joe and his dam is Deco Babette, known to GALT as Babe. 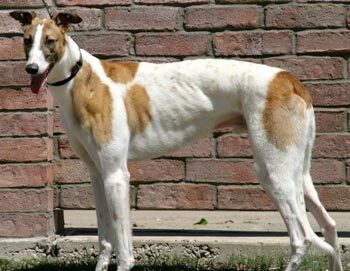 Jagger experienced a right broken hock when he was just over a year old; it was repaired by his owner, and that was the end of any racing career he might have had. Jagger's injury has healed, and he does not seem to be in any pain. Jagger was in a home for 3 years, but has been returned to GALT due to no fault of his own. Jagger is not cat tolerant, but is fine with small dogs.